Gordon Winocur, Ph.D., has dedicated his scientific career to advancing the field of cognitive neuroscience by conducting research with a cross-species perspective and by focusing on clinical applications. Dr. Winocur received his B.A. (1962) and M.A. 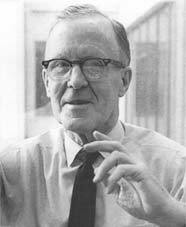 (1964) from the University of Manitoba, and his Ph.D. in 1966 from the University of Waterloo. He subsequently began his first academic position as Assistant Professor at the University of Saskatchewan in 1966. He currently holds positions as Senior Scientist at the Rotman Research Institute, Professor of Psychology and Psychiatry at the University of Toronto, and Professor Emeritus at Trent University. Dr. Winocur’s notable influences on memory research began in the 1970s when he developed animal models of amnesia that showed deficits akin to those observed in humans on analogous tasks; namely, impairments in detailed, context-dependent episodic memory. He resolved a controversy in the field by demonstrating that hippocampal damage can produce both a temporally graded and non-graded retrograde amnesia in animals and humans, depending on the type of memory that is tested. In later years, Dr. Winocur, together with his longtime collaborator, Dr. Morris Moscovitch, put forward the influential Trace Transformation Theory that described how the hippocampus is critical for maintaining lifelong access to specific and detailed episodic memories, but these episodic memories also undergo a transformation, such that detailed information is lost while semantic or gist-like information is maintained through extra-hippocampal structures. Dr. Winocur developed an innovative rehabilitation program designed to enhance memory and executive function in elderly and brain-damaged individuals. Recently, he developed an animal model for studying the adverse effects of chemotherapy on cognition in cancer survivors, and the interventions that promote cognitive recovery. 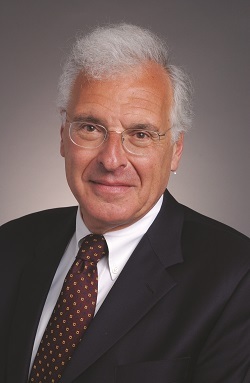 Through his ground-breaking research and, as a member of the International Cancer and Cognitive Task Force, Dr. Winocur has been instrumental in establishing the legitimacy of ‘chemobrain’ as a medical condition, stimulating basic and clinical research, and influencing advances in diagnosis and treatment. As a testament to the importance of his research, Dr. Winocur was named a Fellow of the Canadian Psychological Association (1984), American Psychological Association (1987), International Neuropsychological Society (1988), and American Psychological Society (1989). He received the John Dewan Award for Research Excellence by the Ontario Mental Health Foundation (1984). Dr. Winocur is a devoted mentor to his trainees and to junior faculty. He has launched the careers of some of today’s deepest thinkers and influencers in memory research, and his mentees have obtained prominent research, clinical, and administrative positions in Canada and around the world, including the UK, Europe, Israel, USA, and Mexico. Dr. Winocur has also been dedicated to service and advocacy throughout his career. He served as the Vice-President of Research for Baycrest (2004 – 2007), and as Director for the Rotman Research Institute (1998). In recognition of his work on the Board of Directors and various committees for the Canadian Psychological Association, Dr. Winocur was awarded the Canadian Psychological Association award for Distinguished Service (1987). Using his platform as Scientific Director for the Alzheimer Society of Canada (2001-2003), Dr. Winocur frequently engages the media regarding the nature of Alzheimer’s Disease, including the warning signs and symptoms, and the efficacy of various training regimens, diets and supplements. He developed and broadcast two radio series for CJRT-FM radio in order to educate students across several universities and the lay public about the link between the brain and behavior, and the importance of scientific research. The 2018 conference will be held on July 4 to 8th in St. John's. Registration and abstract submissions will open in early 2018. Visit the 2018 meeting page.